For New Members Needing help buying a boat. A Buyer's Checklist. All of the Iboaters know that we frequently have new members checking in and asking about wether or not to purchase this that or the other boat. After speaking to a Mod (Thanks BobVT) I have decided to use a previous post to create a check list of things to check when purchasing a new boat. Please feel free to add or make suggestions as neccessary but please keep the rabble to a minimum. I am going to probably split this into three posts as it is extremely long, and really needs to be broken up. A Good Buyers check list. The absolute FIRST and MOST important question you should ask the seller is this. DO YOU HAVE THE PROPER PAPERWORK. The boat is a useless paperweight without it. Absolutely positively DO NOT believe that obtaining a title is easy because in most cases it isn't. As a matter of fact offer the seller an extra $100.00 to get the proper paperwork, I bet you 95% of the time the seller will say no at that point walk away no matter how pretty and shiny the boat is WALK AWAY. We are going to Start with the hull. Start at the bow outside and work your way back. Go over it from bow to stern with a fine tooth comb Are there any major knicks or gashes. Are there any splits in the fiberglass. Look for gel coat spidering or stress cracks. Is the gel coat or paint faded or is bright as if it has been cared for? Is the hull straight no major dents in especially on the bottom side. I.e. an obviously visible hook in the hull. Is there barnacle build up on it anywhere? How does the rub rail look is it mashed in anywhere? (signs that a boat was owned by an inexperienced owner). Look for brown water staining visible around the transom motor mount bolts streaking down from them (for an outboard). Look for brown water staining streaking down from the splashwell plug (again an outboard). Look at the trim i.e. (lights, rubrail trim, horns, anything metal) does it look pitted and corroded or well maintained? Move to the inside of the hull. How is the general condition of the upholstery does it look well cared for? How solid is the floor in ALL spots if it is spongy squishy or weak in any spots walk away (unless you are looking for a project). Don't believe that it is going to be a simple fix boats tend to rot from the bottom up. Lift all the hatches and look underneath are there any signs of dampness or rot? Poke prod and feel everything especially all of the hidden areas. Look in the ski locker if equipped how does it look any signs of dampness or rot? Look at the seat bases for signs of dampness and rot. Look at the carpet is moldy and mildewed, or does it have normal wear. If the floor is Plywood encased in fiberglass which is painted look for signs of delamination (fiberglass pulling up). Test all of the electronics. Make sure the bow and stern light are functioning properly. Make sure the horn is working properly. Make sure the bilge pump and blower are working properly. Follow the wires do they look like they are properly connected and running through proper USCG approved fuse boxes? Does the wiring look like proper marine grade wire. Test the radio and speakers make sure they are connected and working properly. Test the steering to make sure it functions properly and easily. Lift all of the hatches and motor cover. Inspect the motor mounts do they look dry and clean inspect for dampness and rot. How does the bilge look is it clean or has someone been draining the oil into the bilge? Are there signs of brown water stains in the bilge area? Inspect the transom from the inside look for signs of rot. Tap on the inside of the transom with a rubber mallet how does it sound does it sound rock solid or kind of hollow does it feel solid or does it feel like mush. Last edited by SigSaurP229; December 18th, 2013, 06:53 PM. My restoration thread 1985 Starcraft Supersport " The Siver Lining"
Re: For New Members Needing help buying a boat. A Buyer's Checklist. If any iboats members have additional information add it in and we can have an excellent buyer's guide that will help everyone. The first question to the seller should be "Are maintenance records available"
Check the oil is it milky or watery? Look at the block and manifolds are there any visible exterior cracks? Do the freeze plugs look intact? Are all cylinders within +/- 5% of each other? Do they look steam cleaned? Make sure that it is a proper marinized engine with a spark arrestor on the carb and fuel pump and alternator. Inspect the shift and steering cables. Run a compression check on each cylinder, are they all within +/- 5% of each other. Check the spark on each cylinder with a spark tester. Prime the fuel system does the primer bulb get hard. Hook water to the lower unit and follow the advice below. Check each spark plug for normal wear. For an outboard lower unit follow the same advice as below except there are no bellows. Does it sound normal or make any ticking or knocking noises? After it heats up make sure that there is a steady stream of water flowing from the tell tale. Make sure all of the gauges are functioning, temp, voltage, oil pressure, and trim gauge. If the engine passes move on. Turn the engine off and then turn the water off. Does it look beat up? Are there large chunks missing from the skeg? Is the Skeg broken? Is there barnacle build up? Inspect the bellows (rubber boots on the back of the boat) does it look dry rotten? Make sure the outdrive trims up and down properly and that it stops trimming up when the limiter is reached. Do metal shavings come out? Put the gear selector in forward. Make sure that the prop only spins in forward. Like wise for reverse and neutral. DO NOT put the engine in gear on dry land. You could cause the engine to race and/or seize if you break you can be assured you will buy it. I HAVE PERSONALLY thrown someone off of my property for trying to do a neutral drop on dry land in my boat, and it was a co-worker, who didn't believe me when I told him what it would do. He tried it later on a boat that he bought and toasted his lower unit. Last edited by SigSaurP229; December 18th, 2013, 08:21 PM. Remember this is what gets you and your family and boat to the lake safely. What is the general overall condition of the trailer does it look maintained or is it a rust bucket? Is it galvanized or aluminum? (some buyers have a preferance). How do the tires look? Are they checked or spider cracked? Do they look dry rotten? Do the brakes look functioning or are they rusted and locked? Inspect the trailer wiring any frays or shorts obvious? Inspect the winch strap and post does the strap look good or rotten? Is there a safety chain for the winch post? Inspect the lights for tail, brake, left and right turn independently. After all of that ask yourself is the boat trailer and motor safe? Remember the bulk majority of a boat's value is the condition. Example a 5 year old boat left outside for its entire life and never winterized properly will be worth a lot less than a 10 year old boat kept immaculately. This is only a guide for basic ski and pleasure boats. It is intended to help keep you from purchasing a boat needing extensive repair. If you are in doubt hire a professional surveyor. Please keep in mind that this a guide for boats costing thousands of dollars, and that the odds of finding a boat on craigslist for $500-$1500 in perfect condition are about 1:1000, but this guide is the basic framework even if you do find that 1 in 1000 boat. It is also best if you are able when checking for rot to drill core samples of the wood it is absolutely positively the only way to know for sure if rot exists, however I will NOT allow anyone to drill into my boat and I don't know of any other seller who will either. There is no such thing as an easy floor repair or easy transom repair it takes time, money, and lots of hard labor, so if a seller says it is easy offer to pay for materials and give them an extra $100.00 to do it properly again I can almost guarantee your offer will be refused. Last edited by SigSaurP229; December 18th, 2013, 07:25 PM. The following instructions should help guide you on how to do the inspections. This is a standard test for Outboard engines. Last edited by SigSaurP229; December 19th, 2013, 02:33 PM. the op did a great job in working this post up. -a pressure test for the drive to see if it's sealed. -and lastly, and i think this is important. don't believe the seller w/o verification of what their saying. sellers can have easy motivation to lie about the boat in question as the seller wants rid of it. amazingly, when i was buyin, i found one like that. a nice cobalt on a dealers lot in omaha. it had a 2' crack in the bottom of the hull. i couldn't believe a dealer was selling it. they even wanted to know if i wanted to go for a test drive. yikes! As a new BOAT owner, be prepared financially. Be good stewards of the hobby and understand your local water way laws regarding no-wake zones, water cleanliness etc. If you're looking at a trailered boat on the owner's property, look around you. The condition of everything you see (house, car, equipment, fence, etc.) tells you what you need to know about the boat's care and maintenance. There are rare exceptions, but the general condition of the owner's other possessions are the best insight into his habits. These really matter on a used boat. Also remember in most states to check the registration on the trailer you can't pull it if the tags are expired. I would like to add that a well cared for older boat will have documentation , receipts , ect of repairs and maintenance. A proud owner will tell you in detail the work and maintenance preformed. For a I/O ask when the belows were replaced, how old are the exhaust manifolds. ect. Seller without info is no bueno! Well now this is an interesting thread! For what it is worth, I used the checklist to buy my Crownie back in Sept of 2014. I copied it into a spreadsheet, printed it off, and filled it out when I looked at boats. Thought it might be useful to report the results after over a year of ownership. It is not so much that there was anything startling or mind blowing on the list... rather that it kept my excitement of looking at boats under control. It gave me a CONSISTENT way to evaluate alternatives. It made me methodical in my search. It let me be objective. It worked. I think I can say as I enter the 2016 season that the boat I bought was an incredible buy, it has given me precious few issues, and many days of trouble free family fun. I just read over the CATransplant post, and I could not agree with it more. While there isnt a PERFECT boat, there are many GREAT boats, and Im happy to report that I found one, in no small part thanks to the checklist. If I have issues this year, I think I have only myself to hold accountable. The only thing I would add (and it is consistent with the ideas put forward by CATransplant) is that the inspection of the boat is as much an interview with the PO as it is an inspection. I asked a lot of questions that I knew the answer to: Like where things were (Maintenance items - dipstick, oil fill, grease zerks, etc etc). I was probing to find out if he really took care of the boat, or just ran it. For the boat I bought, he opened up like a book, showed me everything. He showed me receipts for work done by professional mechanics. He showed me all the things that he did to it. He carefully went over all the tools that he had stored in the boat (that he was including), and what he used them for. I knew then the boat wasnt just dragged to the lake and run hard. In the end, I was buying the PO as much as I was the boat. Since then I have kept a log of every maintenance I have done or had done to the boat, as well as all improvements. 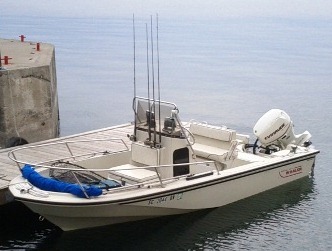 I hope that whoever ultimately winds up with this boat will be as happy and confident as I was when I bought it. Amen on that! Excellent list. I went and bought a boat and I made all these mistakes and didnt know what the heck I was doing. I just wanted a boat really bad but hadn't boated in 20 years. Yard was a mess! So after all the below I still bought it as a fixer upper. I got lucky and only things I really had to do other than a LOT of cleaning was replace the bellows and water pump (which looked new, i was shocked) and gimbal bearing, and all upholstery being done now. I did finally have to find and contact the original owner who sold this guy the boat and get him to get a title for me. He was pissed the other guy never had it transferred over. 1. If they keep saying we have another buyer waiting to buy it and trying to pressure you. 2. No title, but he can get it no problem. Showed registration paperwork from old owner.